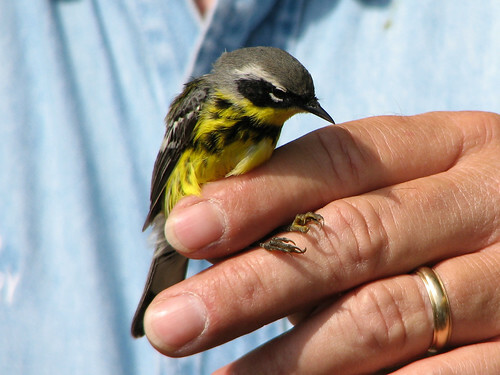 During The Biggest Week in American Birding, we spent some time at Ottawa NWR. 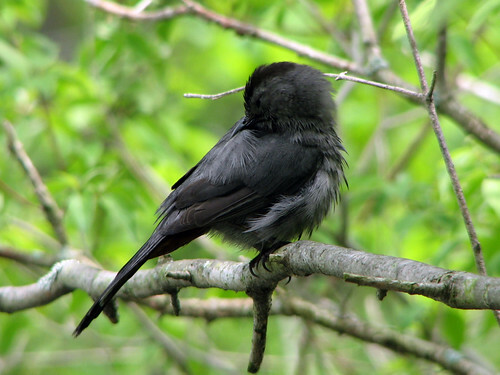 Along the boardwalk, close to the visitor center, I watched a Gray Catbird having a good preen. 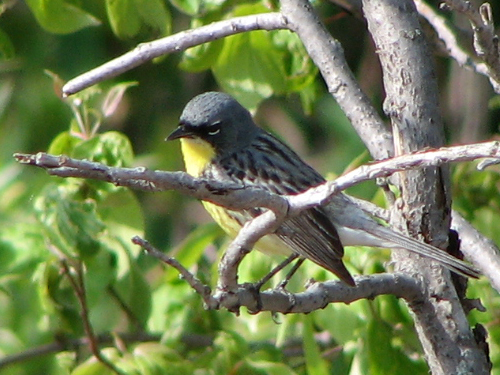 Here are some pictures from our time at Ottawa NWR during The Biggest Week in American Birding. Click on any picture to embiggen. 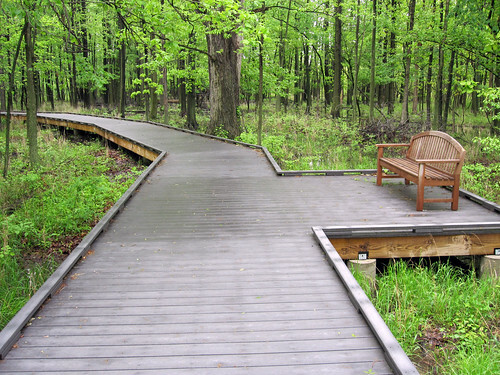 A boardwalk path close to the visitor center. 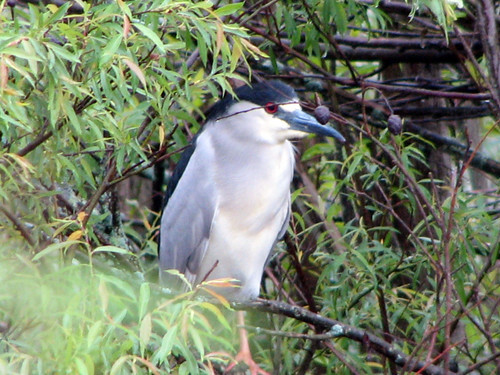 We saw three Black-crowned Night-Herons during a walk at Ottawa. Organized walks started at the visitor center each day during the festival. 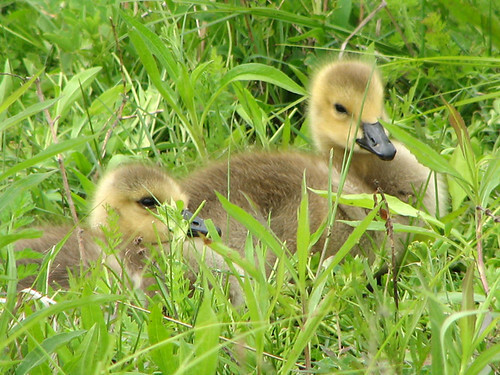 There were goslings all over the place. 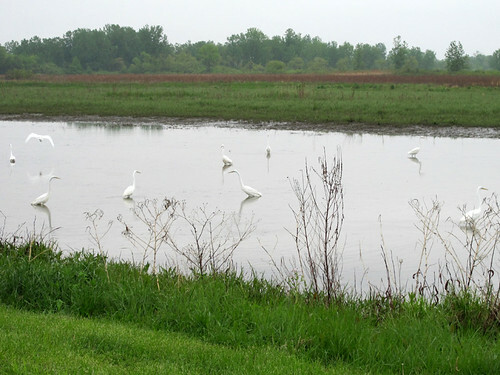 And there were tons of Great Egrets working the water on the way into the reserve. Some swampy paths were very wet. 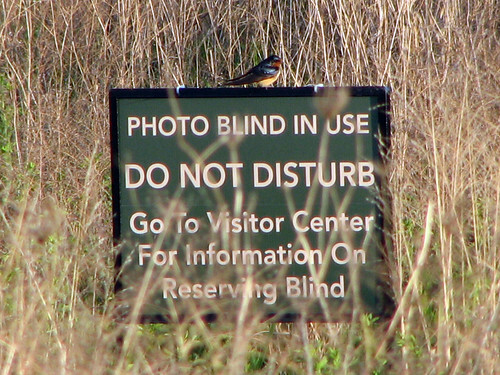 There was a photo blind close to the visitor center. 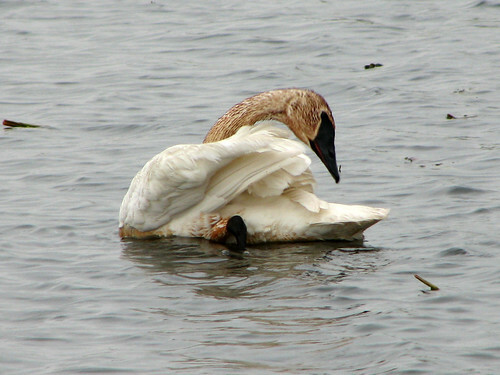 The Trumpeter Swans we saw had discolored necks from feeding. 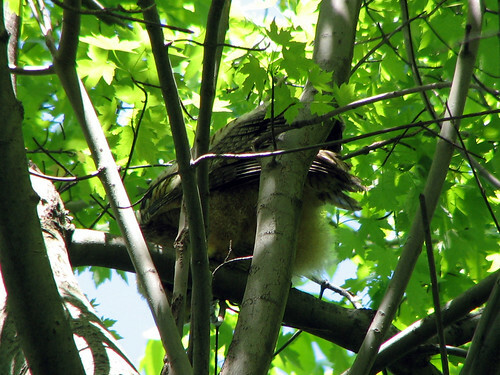 We were very excited to see a “brancher” Great Horned Owl baby high in a tree. 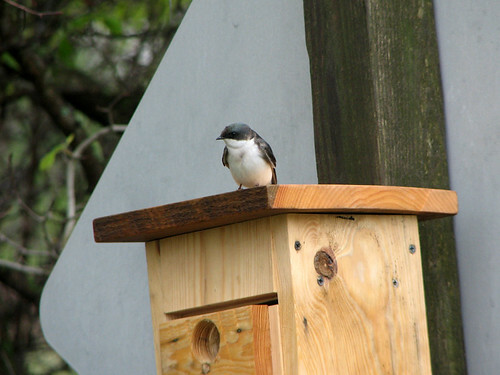 This Tree Swallow and his mate were working on a nest box by the visitor center boardwalk. 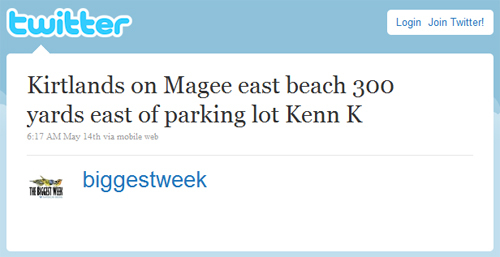 At this time we were completely unaware of Magee Marsh outside of the boardwalk, but we followed Eric’s direction and headed east off the boardwalk. Another tweet came in. By the time we crossed the road towards the beach, we were among several dozen birders heading towards a thicket of trees separating the eastern parking lot from the beach. 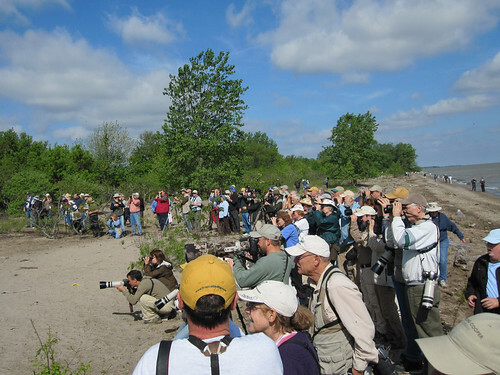 Emerging onto the beach, we found ourselves among hoards of people heading towards a growing group of birders. 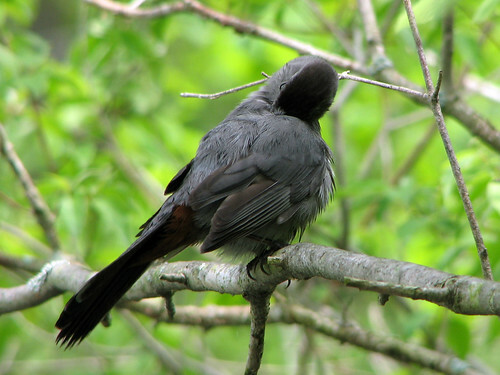 Since this was our fourth try to see this bird (in Ohio, even! ), I tried to keep my expectations low. 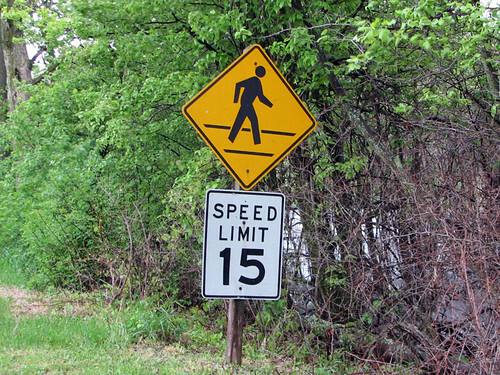 I asked a birder heading back to the parking lot if she had seen it. With her enthusiastic “YES!” I allowed my hopes to rise. 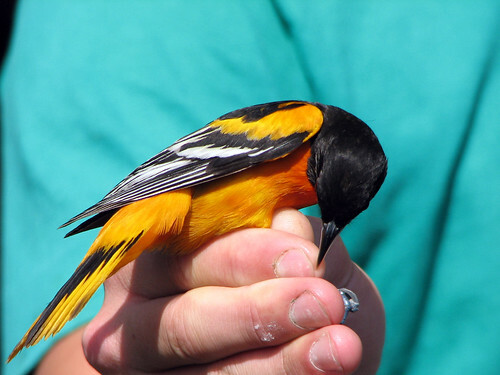 When we approached the birders staking out the rarity, a very kind woman beckoned us over and told us where to look. 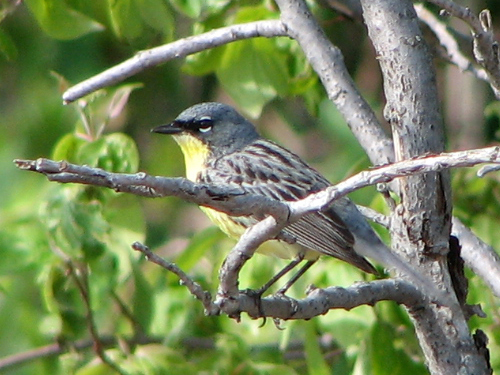 We could see the Kirtland’s Warbler with our naked eyes. In our binoculars he was larger than life. 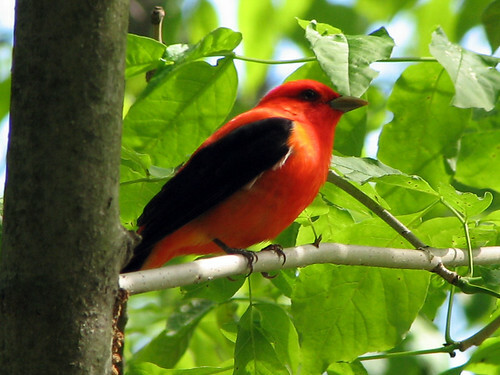 What a gorgeous bird – such a great thrill to see. 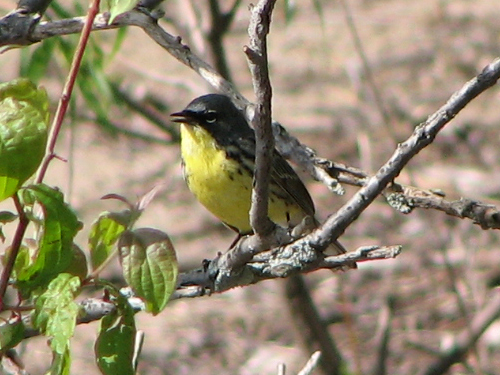 He was singing, and foraging out in the open. 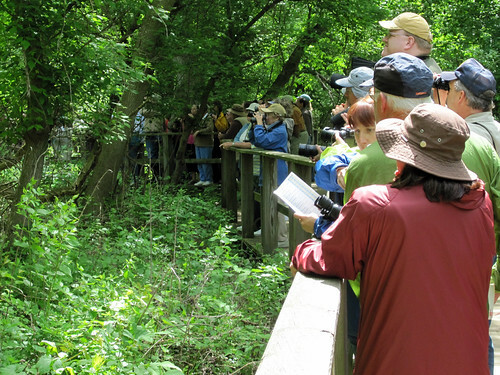 The crowd of spectators grew and grew, and we in turn helped new arrivals get their binoculars on what was surely a life bird for most visitors. 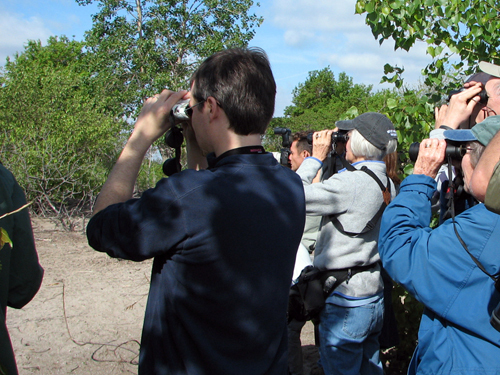 It was really uplifting to be among so many happy birders. People were laughing, doing the lifer dance, high-fiving, and most of all thanking Kenn Kaufman for the amazing sighting. The bird stayed on the beach nearly all day, and wasn’t refound the next day. Friday was definitely the day! 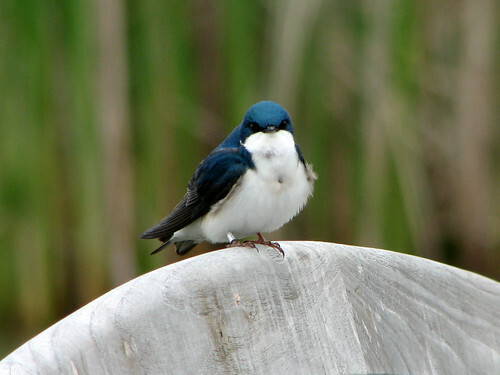 Last week, during the Biggest Week in American Birding, we spent a great deal of time on the boardwalk at Magee Marsh. 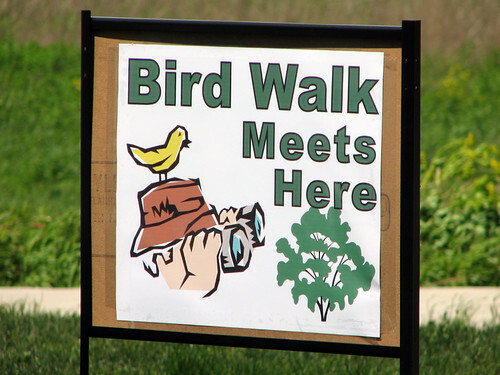 We missed birding here during last fall’s Midwest Birding Symposium, so it was our first visit. East entrance to the boardwalk. 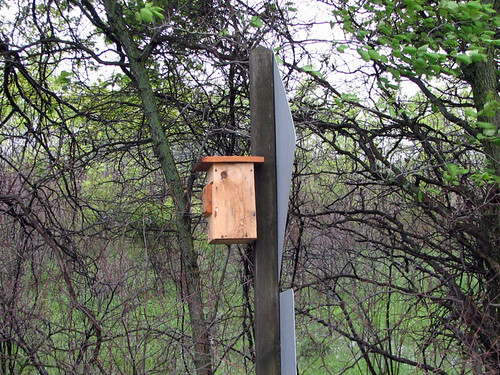 The boardwalk is the stuff of birding legend, and the stories are all true. 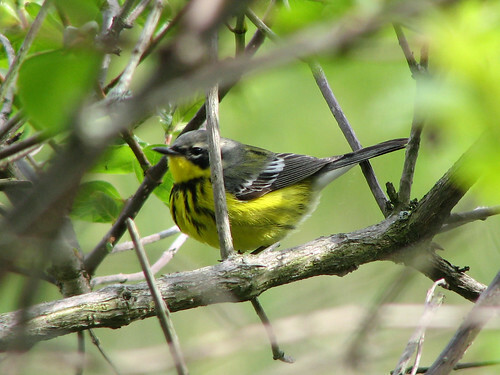 Birds perched in front of your nose, great looks at 20+ species of warblers in under an hour, and hundreds and hundreds of birders. We arrived at the Marsh late Wednesday afternoon, after a long day of driving. 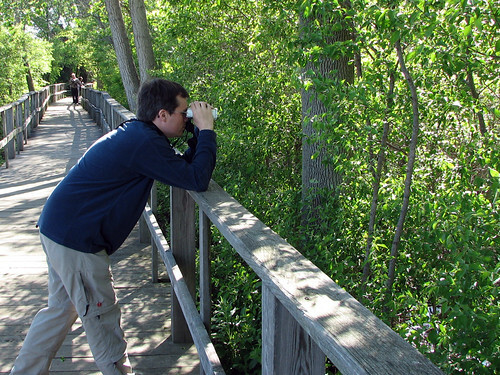 The first thing we saw on the boardwalk was a small group of birders staring into the foliage. One of them said matter-of-factly, “There’s a Black-throated Blue right there.” Expecting to peer deep into the vegetation, it took me a moment to find the bird. I didn’t expect it to be within 7 feet of my nose. 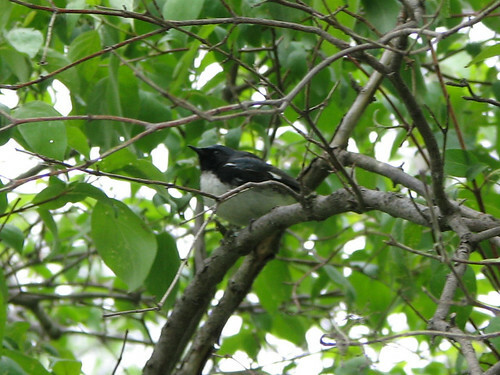 Black-throated Blue Warbler on the boardwalk. Later, we entered the boardwalk on the west end, where the railing marker numbers start. There must have been millions of dollars worth of binoculars and camera equipment on the boardwalk during any daylight hour. One morning, we saw the previous day’s losses waiting to be reclaimed. 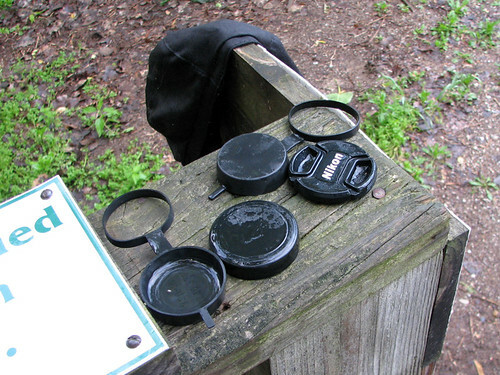 Home for wayward lens caps. Most of these photos were taken with my trusty Canon S2IS, a 5MP “superzoom” point-and-shoot camera. 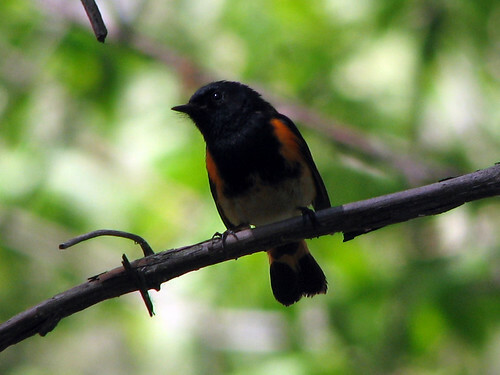 American Redstarts were everywhere, too. 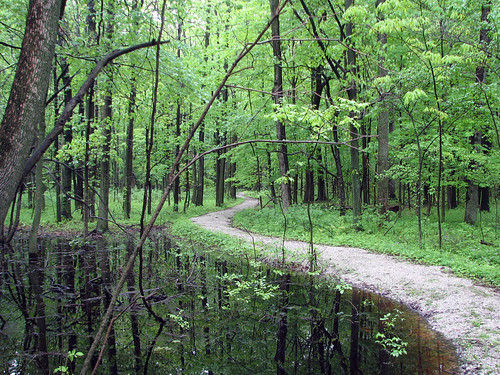 The boardwalk passes by swampy water in several places, where waterbirds skulk for prey. 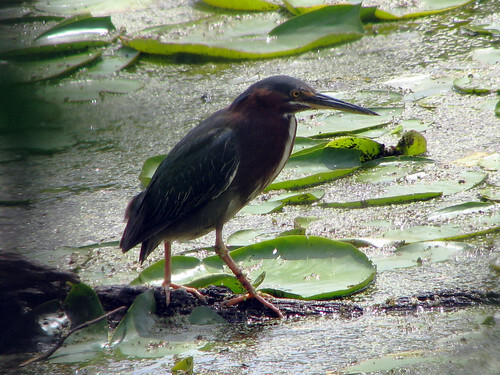 Green Heron seen through thick foliage. 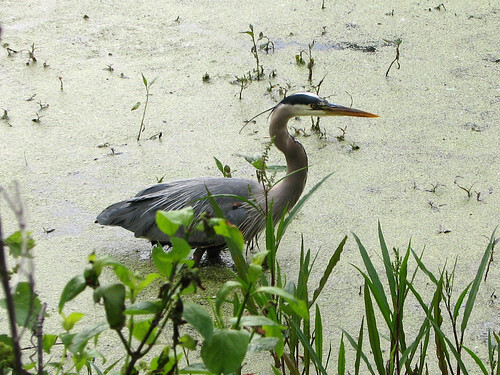 Great Blue Heron out in the open. 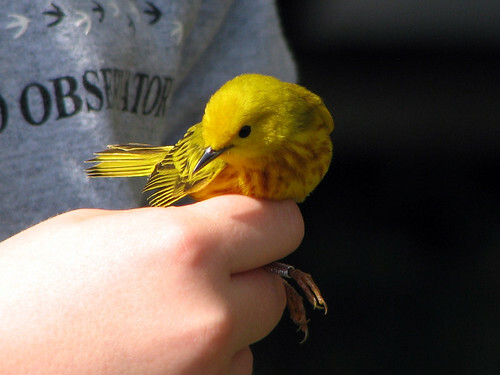 While many of the warblers are passing through Magee during their migration north, some birds like Prothonotary Warblers and Yellow Warblers breed at the Marsh. 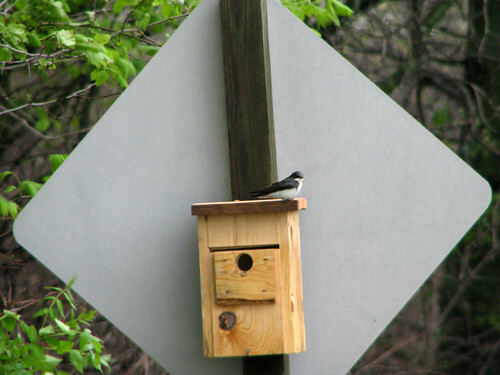 Birders were delighted to watch them bringing material to their growing nests. All at eye level, mind you. 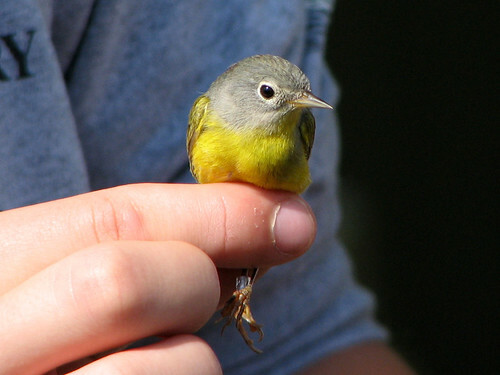 No warbler neck required. 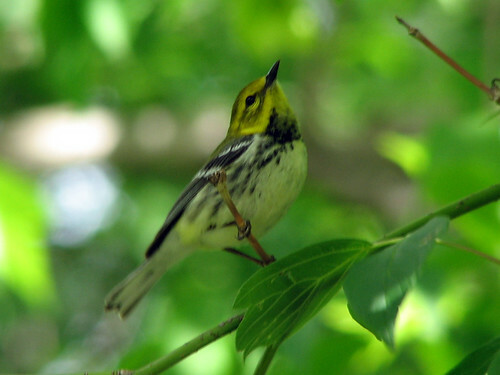 Magnolia Warblers were all over the place. 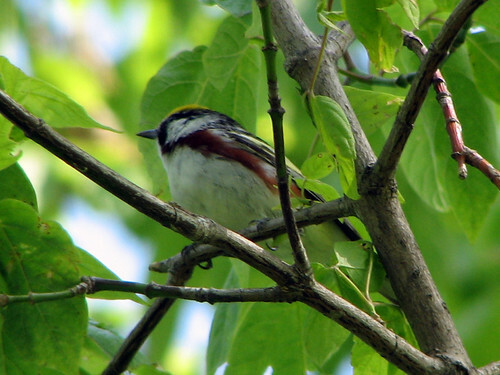 Chestnut-sided Warblers were abundant as well. 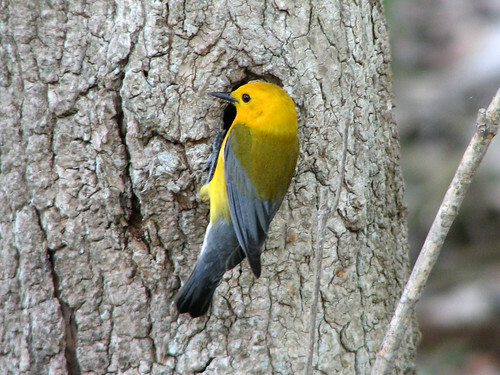 Prothonotary Warblers were busy nest-building. Prothonotary Warbler feeding for the birdarazzi. 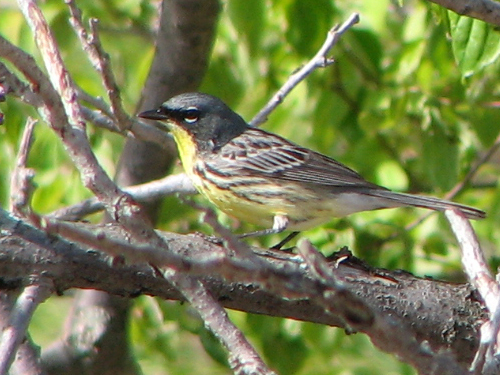 At one point we noticed a pair of Yellow Warblers madly chipping. Arthur spotted a snake in the tree between the birds; we guessed the predator was “disrupting” their nesting activity. 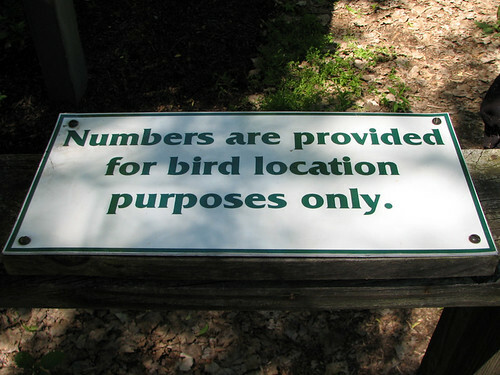 Although the birding on the boardwalk was phenomenal, the search for birds usually began in the parking lot. 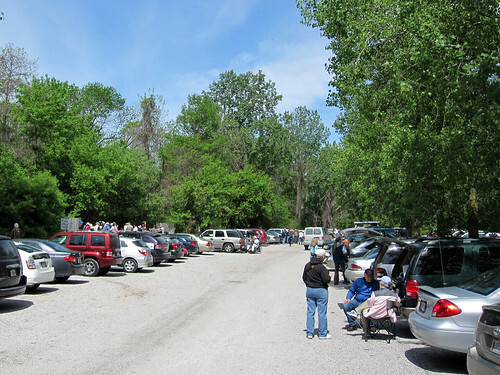 Here’s a typical scene – full parking lot, birder tailgate party, birdwatchers clumped along the entrance of the boardwalk in the background. 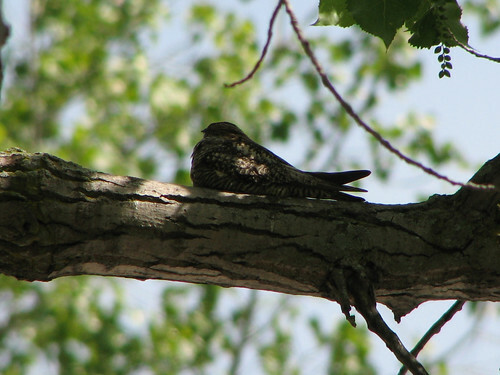 One morning a roosting Common Nighthawk caused some excitement. 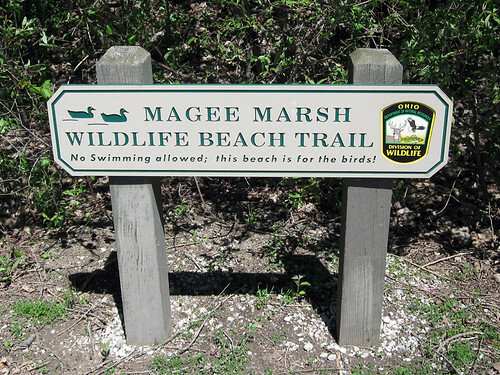 Of course, Magee Marsh is not ALL about the boardwalk. 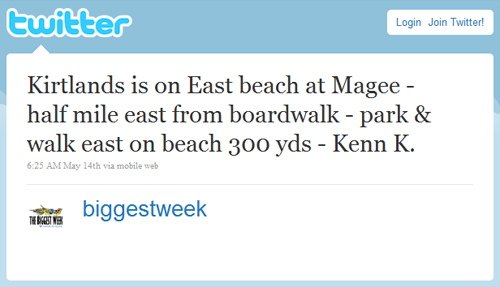 Especially on Friday, May 14th, when a very special bird was spotted on the beach. More on that in the next post! 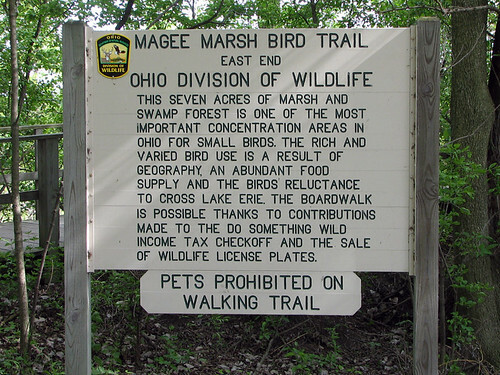 We returned home yesterday from spending five days in northwest Ohio, birding at Magee Marsh and Ottawa NWR, and enjoying programs during the Biggest Week in American Birding. We had heard from many birding friends that Magee Marsh was amazing, but we still managed to underestimate the birding there… it was truly PHENOMENAL. We can’t wait to go back! 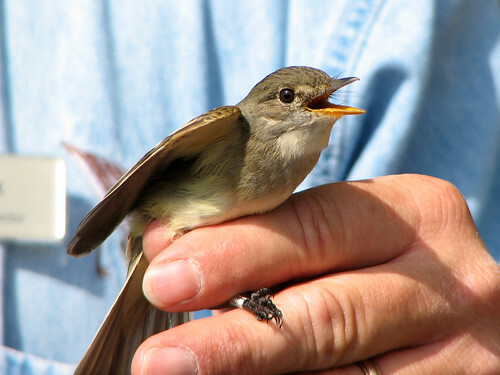 This is the first of several posts on our time there… starting with some bird banding. 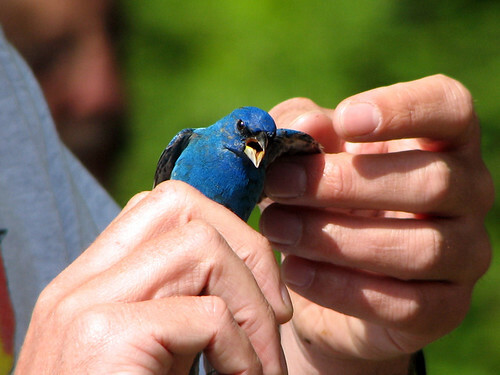 On Saturday morning we spent some time at the Black Swamp Bird Observatory banding station (which we also visited last fall) and got to see some beautiful birds in the hand. 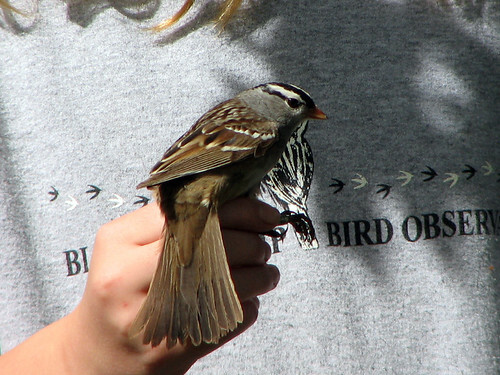 The audience was large and several banders and volunteers showed the birds while explaining the process and what we learn from bird banding. 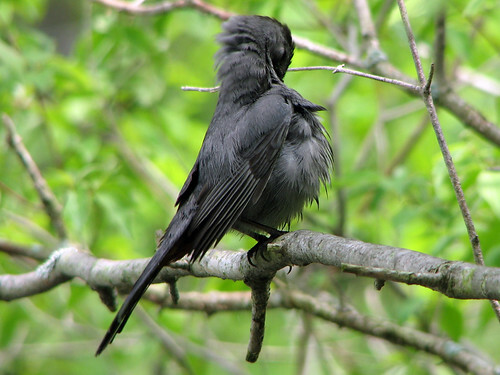 BSBO director Kim Kaufman explained that birds have a preen gland which secretes oil used in preening. 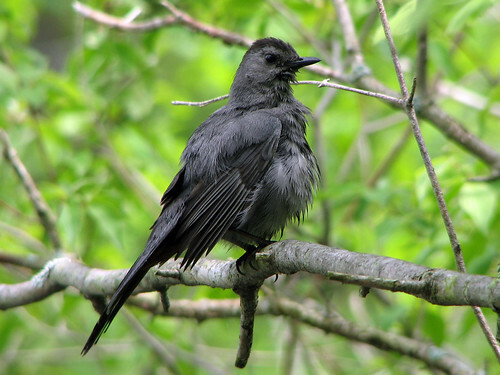 And then she showed it to us, using a Gray Catbird she had in the hand, which was very cool.